Logistics innovator Pinnpoint is continuing to take the shipping business by storm through their partnerships with Lexmark and Smartrac and their acclaimed lineup of RFID solutions. Pinnpoint’s collection of revolutionary RFID-enabled media with Smartrac inlays includes their 8.5”x11” plain paper packing list with duplex return shipping address, providing the ultimate in document tracking and inventory control. The 8.5”x11” pallet label provides easy tracking of materials loaded onto a pallet. And the 8.5”x11” label/form combo designed as a work-in-process traveler for manufacturing environments can also be used as a packing list for tracking outgoing shipments. 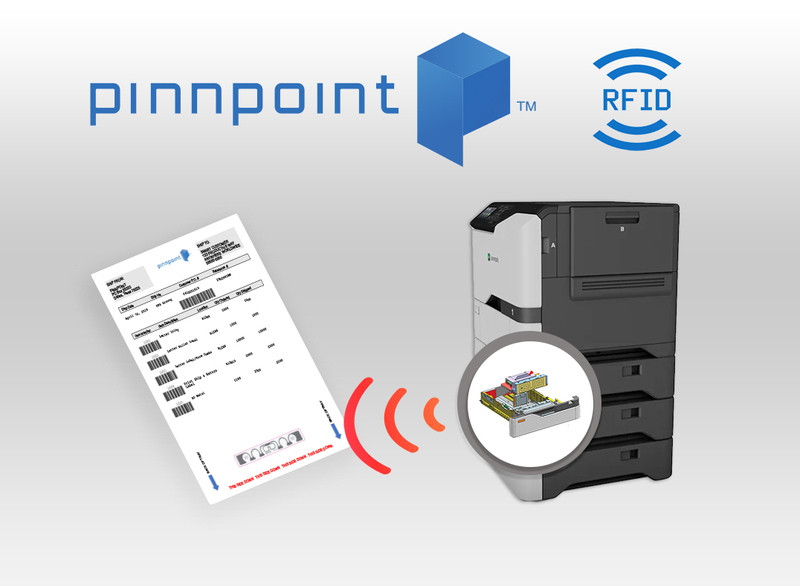 The shining star of the Pinnpoint RFID lineup, however, is Print Ship & Return + RFID, encompassing a duplex-printed shipping label, RFID-enabled return label and packing list on a single letter-sized sheet. This product is ideal for any shipper with a return/reverse logistics offering, as it eliminates the manual tracking of returned items. Featuring the Smartrac RAIN UHF tag, this label is designed to be simultaneously printed and encoded using Lexmark’s latest RFID-capable printers and MFPs. Print Ship & Return + RFID will undoubtedly improve your warehouse shipping and return processes by harnessing and simplifying the power of RFID.